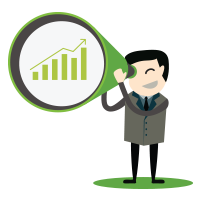 Account-Based Marketing (ABM) is a powerful, strategic approach to converting new business. By focusing on prospects and prospect communities within targeted accounts, ABM helps you achieve greater impact and value from your marketing efforts. 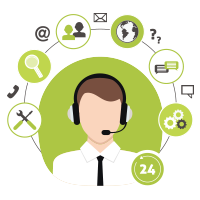 But is ABM right for your business? And, if it is, how do you go about it? What variables and dependencies should you take into consideration, what technologies should you leverage, and support do you need to be successful? 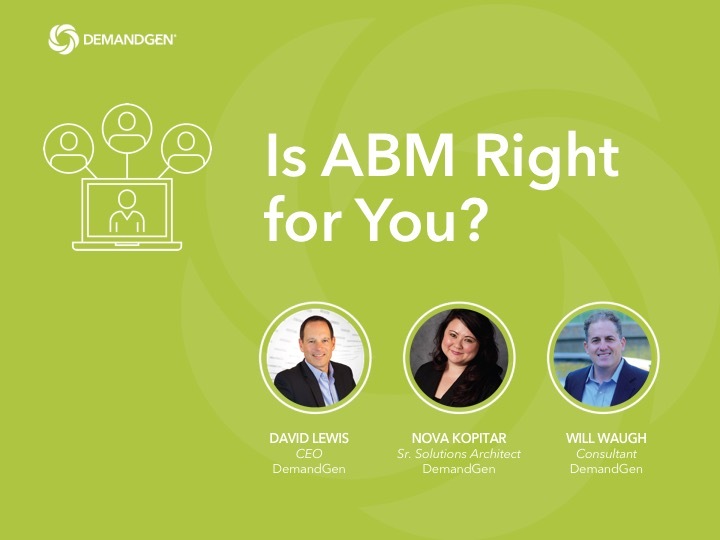 In this 3-part webinar series from DemandGen, you’ll learn everything you need to know to get started with ABM in your organization. Part 1, “Is ABM Right for You?” will help you decide if ABM is right for your organization, and learn about the technology solutions available to make it easy and efficient. Part 3, “6 ABM Programs to Consider,” will explore technology solutions available to support the ABM account lifecycle. Whatever stage you are in with respect to launching an ABM program, this series provides useful information, tips and checklists to ensure your success.